Welcome to the new ERMA Production Home Page. 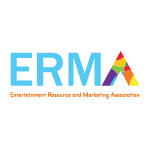 From here you can reach ERMA members, read the ERMA blog and find new clients and brands looking for placement and integrations, send out placement, integration and promotional requests as well as search our ERMA database! Post your placement, integration, promotional or gifting opportunity and e-mail ALL ERMA members! Can’t find the product or brand contact? We’ll help you search! View, download or print the current ERMA membership list.